Please meet our wonderful student consultants. These students have joined our programs and they will be happy to help you if you are interested in joining our programs. Maulana Nofrimurti (Nofri) is an active member of Bina Nusantara English Club (BNEC) Debating Division, a former AIESEC Manager, a recipient of AIMS Scholarship in Mahidol University International College, Thailand, and currently an intern in Nestle Indonesia. Enthusiasm is the main DNA of Nofri; new friends and experiences are what he is always looking for. On September 2014, he recieved the ASEAN International Mobility for Student (AIMS) scholarship for an exchange at Mahidol University International College. This is not the only international experience he had. Nofri is actively involved in representing BINUS UNIVERSITY in international tournaments including the latest Asian English Olympics and United Asian Debating Championship in Singapore. Thanks to his ability to adapt and friendliness, he was able to participate in those international events. He’s very outgoing and always open for new ideas. His energetic and funny personality labelled him as “The Sun” of the International House for the international students in Thailand. He will be very happy to answer any questions about BINUS UNIVERSITY, the student exchange program and scholarships. You can reach him via Facebook page. Being a huge fan of Spanish Football League, he is also glad to share his common interests in football, art, music, movie and photography. Chris is a sociable, funny and friendly person who believes that a good design is not only about visual, but it has to be meaningful and a solution to a problem. As an only child in family, she aspires to make her parents proud of her, so she tried joining the Student Exchange Program. Her dreams came true when she went to study in the Czech Republic, Europe. Chris is an active student with a lot of creative ideas. On her exchange in Czech Republic, she joined Perhimpunan Pelajar Indonesia (PPI) Republik Ceko and won the first place in the Culture Competition among other candidates from 11 countries. In BINUS University, she was one the leaders of the iBuddy Community (a community that helps foreign students during their stay in Indonesia) and is currently the Treasurer of HIMDKV (Visual Communication Design Student Community). Being an exchange student living in Europe was an amazing experience for her. After coming back from the Czech Republic, Chris and her friend made a journal book named “Wander”, recording their journey as an exchange Student in the Czech Republic, travels around Europe as Asians, friendships with people from all around the world and other unforgettable moments. She realized that being an exchange student let her to be more mature and gain the experience she never imagined before. You can contact her through her Facebook page or make an appointment to meet her in person at BINUS International Office or other places. She really loves to share her international experience and you can also read “Wander” at BINUS International Office. On March 2014, Vincent received a Global Korean Scholarship from The Korean Government and did an exchange to Dong-A University, South Korea. He is friendly, funny and easy-going. An active student, he is currently one of the members of the iBuddy Community and helping international exchange students at BINUS. He loves to meet new people and his biggest dream is to have at least a friend in every country all over the world. He is quite active in social media and fond of photography. “Those who do not jump, will never fly“. So never stop seeking opportunity which gives you remarkable experience. Vincent believes that his study abroad experience was the best thing that ever happened to him. It was truly spectacular! Therefore, he would love to share his experience and help everyone who wants to experience studying abroad. You can contact Vincent by sending a message through his Facebook page or make an appointment to meet him in person. A globetrotter, computer and photography enthusiast and trance insaniac might be the easiest way to describe Kevin. He loves travelling – has travelled to places in Indonesia and also abroad. In 2011, he went to Seoul, South Korea as a summer school student at Kyung Hee University for a month. Six months afterwards, he received GKS scholarship from the Korean government as an exchange student at Dong-A University for a year. Kevin is currently joining the iBuddy program – a program that is designed to help foreign students during their stay in Indonesia. 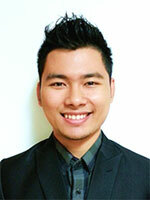 He is also a consultant for student exchange program at BINUS University. In line with his major and his passion, he is fond of computer related-ideas and passionate about photography. Steve Jobs once stated, “You can’t connect the dots looking forward; you can only connect them looking backwards”. Kevin believes that everything that has happened in his life, especially his student exchange experience, is truly precious and he feels grateful for this. Therefore, he would really love to share and help other BINUS students who are interested to join short course and student exchange program. You can contact Kevin by message him on his Facebook page or make an appointment to meet in person at BINUS International Office. 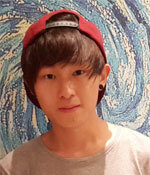 Randy is an active student who loves to travel and experience new things in life. He loves travelling because he could see different side of people, culture, and life. He could examine what life could offer during his journey and this part he enjoys tremendously. So, to prove it, Randy applied for AIMS student exchange scholarship program and won it. He embarked on his journey at Universiti Teknologi Mara, Malaysia and studied there for one semester. It was one of the best times of his life. With the experience he got, he believes he has become a better man. Randy is ready and happy to share his experience. It is a pleasure for him to help everyone who wants to have a life changing experience. He believes that if he can do this, then you can too. You can contact him through his Facebook page or make an appointment to meet him in person at BINUS International Office. Yos won AIMS scholarship to Mahidol University International College (MUIC) in Thailand. One was not enough and it’s just the beginning of his life changing experience. Two months afterwards , he received another scholarship to join a short course program: ASEAN in Today’s World, sponsored by Kyushu University, Japan and was sent to Manila, The Philippines to learn ASEAN affairs and Chinese language. Yos’ passion in travelling resonates with a quote “This world is like a book,and those who don’t travel only read one page”. In addition, his other interests include fashion, writing, language, reading, and sports. Yos is currently seeking his true passion that is deeply planted in his soul. At present, he is experimenting in the fields of communication, business, and investment. His big goals and dreams make him keep learning and always seek opportunity to better his future. Yos would be really happy to share his truthful experience about studying abroad and help those who need the information about short course and student exchange program. You can contact him through his Facebook page or make an appointment to meet him at BINUS International Office. Andry has a dream to work as an accountant in USA and to open huge international business worldwide. This is one of the main reasons he has been pursuing study abroad experience. He believes that travelling overseas is all about learning and exploration, not only sightseeing. His living abroad experience has taught him a lot and it has affected his life tremendously. It truly has made his life richer. Andry learned how to survive and adapt in different environment and culture and was able to interact with global citizen and create new connection and network. His love for social interaction has allowed him to meet with people from all over the world and to learn to see things from their perspectives and to share Indonesian culture and perspective as well. All these, he believes to be useful for his future. Able to maximize his experience, Andry had the opportunity to do an internship through an academic training program in the United States. His experience of tasting an international working environment is indeed crucial to realize his American Dream. Andry will be very happy to share about his study abroad experience. Please do not hesitate to contact him through his Facebook page or make an appointment to meet him in person. Some people might think that being a senior student is too late for joining an exchange or short course program, but not for Hartono. He joined Inha Summer School during his senior year and had an unforgettable experience. A traveler and a computer and technology enthusiast, he loves to meet new friends and experience new things. Always looking to improve himself makes him an open minded person. He likes to share with others so you can talk to him about anything. He likes globetrotting and has traveled in Indonesia and abroad. 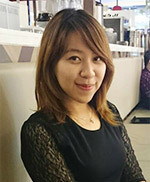 Hartono had graduated from BINUS University and currently is working at an IT-based company and is also a student consultant for short course program at BINUS University. So, feel free to ask him, and he would be really happy to answer and share his study abroad experience. Maybe you will not see him around but he can be reached easily through his Facebook page. So, message him and he will try his best to help. An adventurer, explorer, backpacker and traveler. Nothing more or less, Niko always dreams to see the world. He joined 2010 Inha University Summer School, received GKS Scholarship as a student exchange at Kyung Hee University and participated in 2012 ILC Program at Victoria University of Wellington. The world is now at a phase where borders are not standing there anymore as a wall of obstacle for its global citizens so the ability of cross-cultural literacy is very much needed. These study abroad experience have given him insight and better adaptability skill to a new environment especially to new people and new culture. He even had the chance to learn other languages because he believes that language is the door to the world. After all, speaking multiple languages has given him the chance to expand his skills and knowledge to prepare him for the future and to establish his international network which will lead to other future opportunities. He suggests that students do not only take the opportunity to be ‘internationalized’ academically, but also balance and explore with other aspects. That is why he took extracurricular activities, worked, volunteered and promoted the diversity of Indonesia while he was abroad. What a great way to study and have fun to represent oneself to the world. He believes students must take the chance and risk to go abroad, because the other side of the world is waiting for you to be seen and experienced. He loves to share his journey and encourage other students. He is open for consultation or appointment arrangement and giving advice for those who are in hunger of internationalization experience. You can message him on his Facebook page. Mark Twain says “Twenty years from now, you will be more disappointed by the things you didn’t do than by the ones you did. So throw off the bowlines. Sail away from the safe harbor. Catch the trade winds in your sails. Explore. Dream. Discover!” Well, as always, embrace the perks of being young! Cindy is a simple girl who loves traveling. She tried to accomplish her goal, which is travelling around the world. For her, by visiting other countries, not only she got happiness, but also priceless experience. She was interested in joining exchange program as it is a way to achieve her goal. Her sociable personality also encouraged her to join exchange program because exchange program brought her into an unfamiliar environment that comes with a lot of new friends. She learned how to adapt with a totally different environment. During Spring 2013, she joined exchange program at Kyung Hee University in Seoul, South Korea. Being an exchange student is a precious experience and she obtained a brand new point of life that made her grow up like never before. Now it’s time for you to expand your knowledge by being a part of globalization. Dream big, live bigger. It is also her pleasure to help other students who are interested in doing exchange or short course program. So feel free to ask anything related to the program by dropping a message on her Facebook page or make an appointment to meet her at IO office.